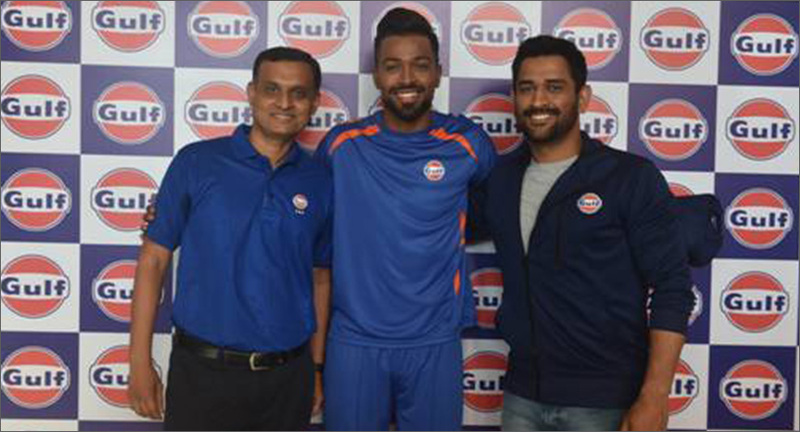 Gulf Oil Lubricants India Limited (GOLIL), a Hinduja Group Company, today announced that it has signed India all-rounder cricketer Hardik Pandya as its brand ambassador for the company’s new business initiatives & lubricants. Pandya joins cricketing legend MS Dhoni, who has been associated with the company since 2011 as its brand ambassador. “On behalf of the Gulf, we welcome Hardik Pandya. A youth icon who personifies Gulf’s strong sporting heritage, his commitment to outperform is akin to our brand ideals of ‘Quality, Endurance, Passion’. Our association with Hardik would further enhance our engagement with the sport of cricket as well as the millions of fans & consumers across the country”, said Ravi Chawla, MD, Gulf Oil Lubricants India Limited.